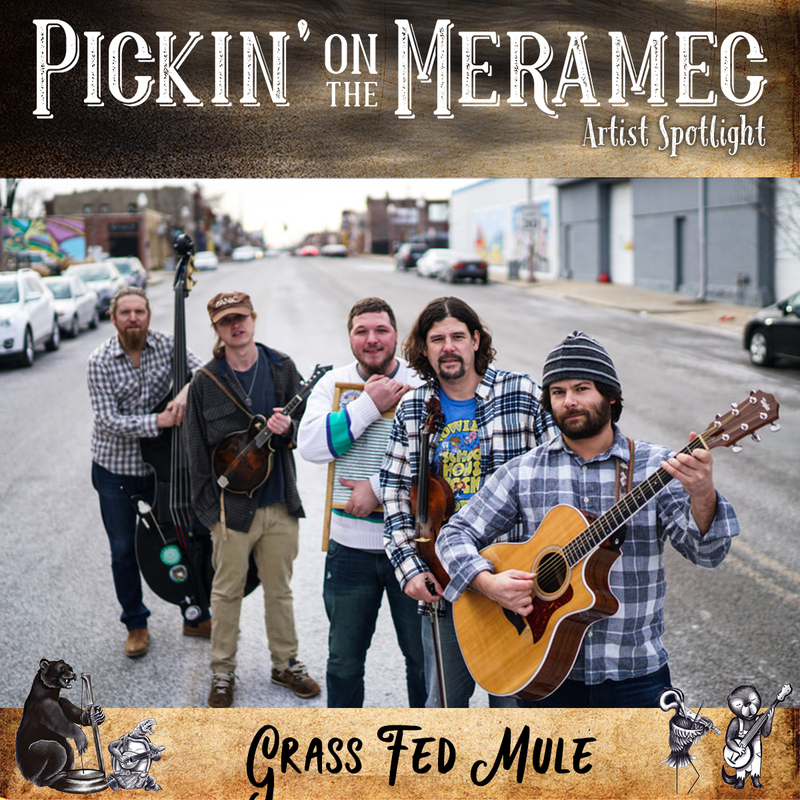 Meet Grass Fed Mule… the psychedelic-infused bluegrass and alt folk outfit from St. Louis, MO. Drawing energy from their rivertown roots, the band’s upbeat shows flood the ears with strong vocal harmonies and instrumental finesse. Their new five piece arrangement has a fierce sound that’ll lure you in and keep you on the edge of your seat! Established in 2015, Grass Fed Mule has hit the ground running, playing festivals, touring the midwest, and honing a fresh new sound! While the core of the band is a quartet, don’t be surprised if they gather some of the most prolific pickers around to entertain your ears—GFM has shared the stage with members of The Travelin McCoury’s, Railroad Earth, Infamous Stringdusters, Yonder Mountain String Band, Horseshoes & Hand Grenades, Mipso, and many more.